Charlie and I escaped using the window I&apos;d entered through. I kept my eyes straight ahead as we rushed through the room, careful not to even so much as peek at the noose I had almost ended my life with. Charlie slid through the window first, and I followed, wincing as the shards of glass scraped my skin. But the pain was forgotten the instant my feet hit the ground. Charlie grabbed onto my hand and tugged me forward. And then we were running again, veering around the back and tearing down the side of the building. You&apos;re almost there, I told myself. You&apos;re almost there. It was when we rounded the front of the building that I heard the sirens. Charlie and I immediately stopped running, breaths quick an uneven as we sagged against each other. I never thought I&apos;d be this happy to see two police cruisers, but right now, the sight of the blue and red lights made me want to collapse into a puddle of relieved tears. The police officers parked on either side of my car and stepped out of their vehicles, slamming the doors shut behind them. Charlie and I stumbled toward them. "Thank God," Charlie muttered under her breath. Her grip on my hand tightened. I gave her hand a comforting squeeze in return. "Are you girls all right?" one of the two female officer asked as we approached. Her question was simple enough, but I couldn&apos;t bring myself to answer. In the whole sense of the phrase, yes, I was all right. I&apos;d lived through this awful ordeal, and so had Charlie. But Scott hadn&apos;t.  Scott was dead. Dead. And that fact was so excruciating, it was all I could do not to crumble into a million pieces. He hadn&apos;t deserved this. "She killed Scott," I whispered. Charlie released her grip on my hand and wrapped an arm around my shoulders, tugging me to her. Ignoring the pain it caused, I stuffed my face into her shoulder blade. I&apos;m so sorry, Scott. I&apos;m so sorry. The other three officers nodded to the female officer and started toward the building, guns in hand. While they left, Charlie explained what happened, her voice shaking in some parts and spiking angrily in others. I half listened, half pictured Scott in my mind-both when he was alive and when he was dead. "The girl in there kidnapped me and Wren&apos;s boyfriend, Scott, and brought us here," Charlie said. Her voice softened when she said Scott&apos;s name. While Charlie and Scott bantered more than they spoke civilly, they&apos;d been friends. She would miss him as much as I would. 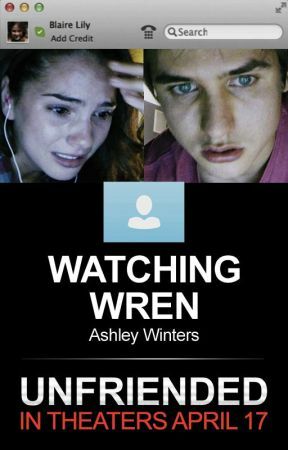 "Then she lured Wren onto a video chat and threatened to kill us if Wren logged off. She forced Wren to do all these horrible things-"
"Horrible things that I told her to do in the first place," I interrupted softly, my voice barely audible. "What?" the officer asked, her tone kind. I couldn&apos;t meet the officer&apos;s gaze as I admitted what I&apos;d done to Vee in the past. "During senior year, I sent her a lot of awful messages on Facebook. Tonight was her way of getting back at me for what I did. 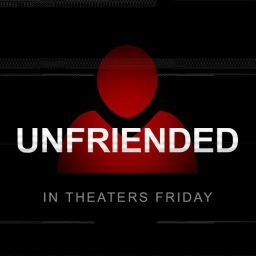 When we were on the video chat, she made me do things I mentioned in the posts." The woman&apos;s eyes widened, and though she tried to hide it, I caught the distant disgust in her expression. Whether it was disgust for Vee, me, or both-I didn&apos;t know. But I wasn&apos;t about to ask. "What did she make you do?" she asked. "She made me cut off all my hair, cut out non-existent pimples, post statuses saying that I was pathetic and worthless, call my parents and apologize for being a disappointment, among other things. And then she-" I cut off, swiping at a few tears as they dribbled down my cheeks. The officer waited patiently for me to continue. "She told me to come here, and that after my Internet logged off I had ten minutes to get here before she-before she-"